We have a confession before we start this post – we haven’t read the books Annihilation is based on. We will one day, promise! In the meantime apologies for any comments we make about the plot or theories we have which are shown to be wrong based on the information in the books. Also advanced warning of some spoilers for the movie in this post. Annihilation is a weird film. Even before getting to the watching part, it’s weird. The film was released in American cinemas America in February this year but was never released in cinemas in the UK (or internationally for that matter). You might be wondering how it is that we’ve seen the movie already then – don’t worry no pirates here! In a strange move Paramount sold the distribution rights to the film to Netflix for the international release. Apparently they got some feedback from test screening results suggesting that the film might be too ‘clever’ for most people so they panicked. They assumed it would sell badly and passed the rights on to the first mug they could find. To be fair, the opening weekend sales in the US weren’t great so maybe they made the right choice for the film. Aside from the fact it was a big budget movie heading straight to streaming, Annihilation was also caught up in slightly weird white washing claims. Now white washing in Hollywood isn’t exactly weird or new. Ghost in the Shell and Death Note are just a couple of many recent films where a character’s ethnicity has been changed to ‘appeal to a wider audience’. The odd thing about the white washing in Annihilation was that the director didn’t know the lead’s ethnicity when he cast Natalie Portman. Now we don’t mean he didn’t know Natalie Portman, who’s fantastic acting record has made her recognisable for the last few decades. We mean he didn’t know the ethnicity of the character Natalie was set to play. This was the result of the books being adapted to film before the second book had even been released! It was only in this book that Lena (Natalie Portman’s character) was revealed to be Asian. Now controversy aside, it is definitely worth highlighting that Annihilation has a great female cast. Many of the characters have careers in STEM (Science, Technology, Engineering, and Maths) which is an important message to be shown. All in all, the film does a great job at highlighting that your gender should never be a barrier to you having any career you want! Hopefully this message will continue to gather weight so current barriers can be removed. So now the background weirdness has been dealt with, lets get onto the movie itself. 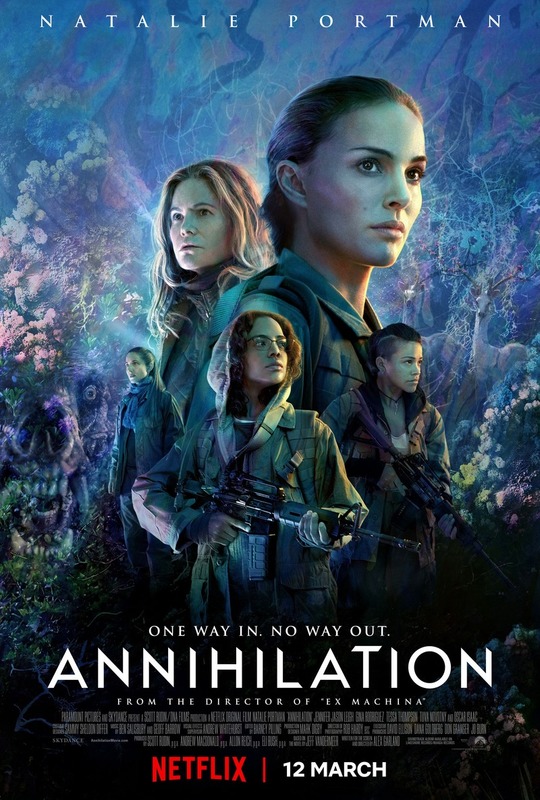 If you like simple, easy watching movies, then Annihilation probably isn’t for you. Nothing much is explained and if you don’t keep up with what the characters are saying you WILL finish with no idea why anything happened. The general plot is that something has crashed into a lighthouse on the edge of a national park in America. Since this object crashed, a ‘shimmer’ has formed around the site. This dome like structure is expanding slowly and people are worried about it. Anyone who goes into the ‘shimmer’ to see what’s happening stay there. No one comes out and no one really knows what happens to them. The main character, Lena, use to be in the armed forces. She met her husband whilst serving and when she left the forces he stayed in. Her husband gets sent on lots of black op missions and one time he didn’t come back. A year’s passed and out of the blue… there he is, in the house again. He starts coughing up blood and him and Lena get picked up by shady government types and whisked away to a secret base. This base is trying to work out what is happening in the shimmer and were the ones Lena’s husband had been on a mission for when he disappeared. No one’s too sure what happened to him but he got sent into the shimmer with his team and now he’s in a bit of a state. Lena agrees to join a team of scientists who are about to go into the shimmer to see if they have more luck than the military have been having. To avoid spoiling too much at this stage, they go into the shimmer and weird stuff starts. Pretty much everything that happens in the film is put down to ‘refraction’. Essentially what they are trying to tell the audience is that everything that is inside the shimmer is getting mixed up somehow. By everything we mean everything. one of the main things that the film focuses on is DNA from all living things in the shimmer getting mixed together. As DNA is essentially the instructions that make an organism what it is, this mixing leads to some interesting creatures popping up. Some of the fun ones are: Mega Bear Wolf with its ability to mimic voices (or absorb souls…. that’s what’s sort of implied in the movie but that’s a step too far for us!). Human shaped trees that put Sudowoodo to shame. And not forgetting snake intestines popping up inside everyone. We’re going to write another post about this idea of mixing two creatures together but today we’re focusing on how this mixing up of DNA might actually be happening. The how is never really explained in the movie but we have some theories. As always our theories are all based around real world science so today we’re going to be looking at how DNA might be getting jumbled up! You’re probably aware that radiation can alter your DNA. That’s sort of the reason that radioactive materials, too much sun and gamma rays are bad (unless you want to become the new Hulk). Basically energy breaks your DNA and your body has to try and stick it back together as quickly as possible and hope that it sticks it back together how it was to start with. If it gets this wrong then a mutation is introduced to your DNA. The thing about DNA damage caused by radiation is that the changes to your DNA is generally pretty random. Now the only difference between your DNA and a tree’s is the sequence of bases (or letters) that make up your genetic code. For example both you and a banana have DNA which is basically an instruction manual written in a code comprised of A, T, C, and G. Now the reason that you don’t look like a banana is because the order of the 4 letters and the total number of letters that make up your DNA (your genome) is different to that of a banana. This means that by making random changes to your DNA code via radiation could result in your DNA code spelling out the same code as another organism…. but it’s pretty unlikely. You have 3 billion letters in your DNA code and it would take some luck to randomly change a few of letters and end up with a code that matches something else’s code. This pretty much rules out radiation in the shimmer being the cause of this DNA swapping. Much more likely is that what ever crashed into that lighthouse brought a load of viruses with it. Now viruses are interesting little critters. For a start they are essentially just a little piece of DNA wrapped up in a protein shell. They can infect you and by doing this they can make you ill, or they can stay hidden inside you for years. They are amazing manipulators of DNA and have been shown able to infect one organism, and take some DNA from that organism when the virus leaves. When it infects its next target, viruses are able to deposit that DNA and in doing so gives the new host the DNA from the old host. This DNA can code for certain genes which are segments of DNA that give specific characteristics to organisms. If an organism gets genes from a different organism it can end up having the same characteristics. Now there are genes for pretty much everything. Your eye colour, hair colour, how tall you are, how your sweat smells, how many arms you have, how hairy you are, etc. 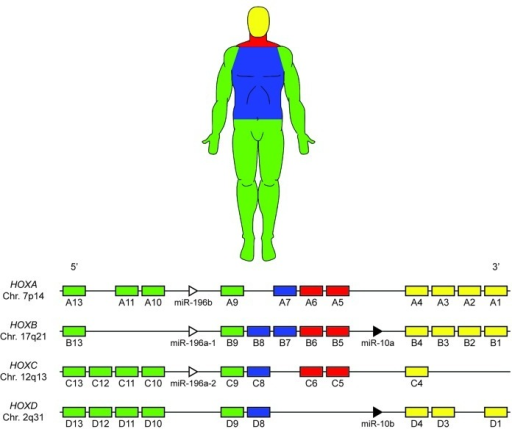 An example given in the movie is the Hox genes in humans. Hox genes control your body plan. This essentially means that they determine your overall shape and are especially important in development. Without them your cells wouldn’t know where to go and your whole shape would be messed up. 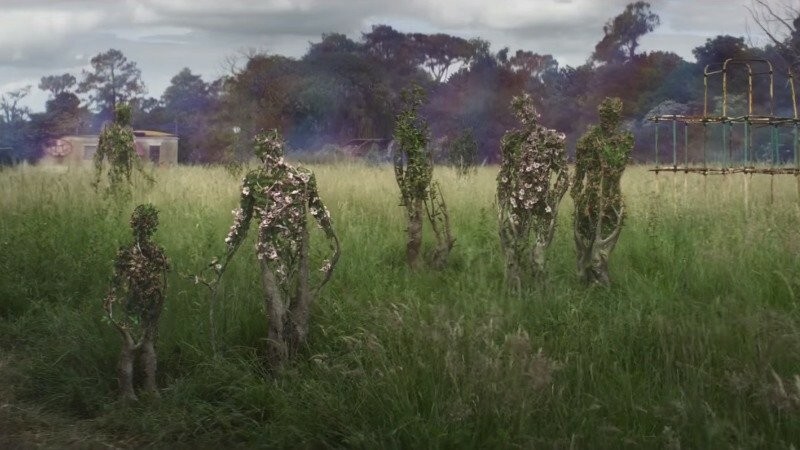 In Annihilation the team come across a load of trees that are the same shape as people. This is said to be because the human Hox genes have transferred into the plants and these new genetic instructions are causing the trees to take the same shape as people. Like we’ve pointed out, viruses are pretty capable of doing this in the process described above (often called transduction). One of the big issues with this theory is that viruses are normally quite careful. They tend to recognise specific lengths of DNA code rather than just cutting and pasting any old thing. For so much horizontal gene transfer to be flying around the place, with so many different genes going between so many different organisms, you would need a heck of a lot of different viruses! The idea of such diversity in viruses being maintained potentially on a meteorite, travelling through space, seems quite far fetched (even by our standards!). There is another way that DNA could be being mixed up and if we’re right about this then Annihilation is actually the story of a shady government organisation doing genetic experiments on humans! We’re talking a tool that can cut very specific sections of DNA out of an organisms genome and replace it with a completely different sequence of DNA. A tool that can be programmed by humans and can affect lots of cells in your body no problem. This might sound very science fiction (come on, have you read this blog!!!) but this technology already exists and is being used in labs all round the world. We’re talking about CRISPR-Cas9. So if you haven’t heard of CRISPR-Cas9 then it’s basically a pair of tiny scissors that can cut DNA. It would be lovely to say that mankind came up with this tech on its own, but actually nature beat us to this one too!!! See bacteria evolved to have these tiny biological scissors inside them to cut up foreign DNA. This works really well at keeping viruses out of cells and is sort of like an immune system for bacteria. Scientists noticed this system inside bacteria and realised the potential it had in genetic editing. 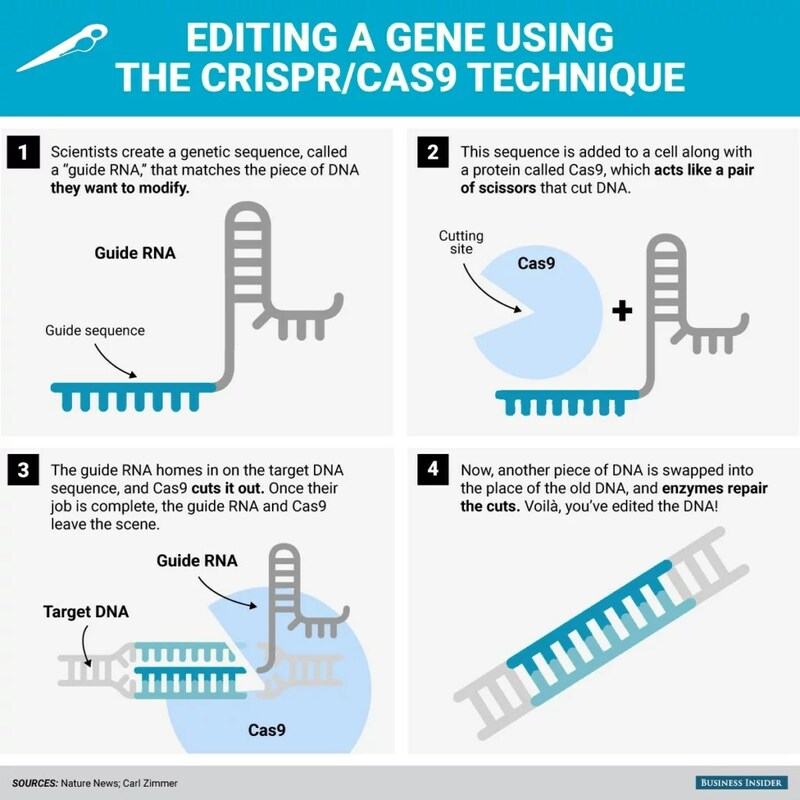 CRISPR-Cas9 works by taking a little sequence of DNA and using that as a guide. The complex goes around checking all the DNA inside an organism until it finds a stretch of DNA that matches the little piece it’s holding as a guide. When it finds that region it basically cuts it out of the organisms genome. This process is pretty accurate and because it uses a little piece of DNA as a guide, we can hijack the process. What we can do is give the complex a bit of DNA with a sequence that we’re interested in. We can already make DNA in whatever sequence we want so that part isn’t particularly hard either. Now the complex is going around looking for DNA that matches the sequence we have given it and then cutting up the DNA at that location of the genome. I’m sure you can see how this tool can be used to great effect in modifying genomes. We’ve now got something that can get into an organisms cells, search out specific parts of DNA, and change the DNA at that region. This opens up the possibility of changing a person or organisms DNA code to anything you want. We already know the DNA sequence of lots of genes that give things their characteristics due to DNA sequencing technology (we’ll look at this in more detail in later posts), so making a tree person is as easy as googling human Hox genes, then getting that DNA sequence printed into DNA before using CRISPR-Cas9 to go into a plant and change the DNA to now have human Hox genes. The other examples we see in the film would be the same process. Now that we’ve described CRISPR-Cas9 in modifying DNA and how it could make all the changes we see in the film, allow us to point out how sinister this makes the film. If we’re right and there are a load of scientists using a genetic tool to alter all the DNA of creatures within the shimmer then that means there are people that who are completely aware of what is in the shimmer and in fact are the ones who made it that way. An obvious candidate to answer the questions: who has the ability to pull that off and why would they? is the government. Yep that’s right. We are saying that the government set up the shimmer as a sort of mass experiment to see just what could be achieved if you go all out with genetic modification. The people aren’t being sent in to see what’s at the center of the shimmer, but rather to see how the experiments are progressing. The interesting thing about this theory is that it also explains a plot point in the movie which is mentioned then never picked up on again. We’re talking about the part when the enter the shimmer and next thing they know they wake up 5 days later camped in the wilderness with no memory of the last 5 days. It’s sort of implied that their memories are being messed with, just like their DNA, because they are in the shimmer but that doesn’t fly with us. If they lost days as soon as they entered then why do they never lose days again later in the movie? We’ll tell you why, because they were just knocked out by someone who then either made it look like they’d lost 5 days so they didn’t suspect anything or took 5 days enacting their devious schemes on the team! We think that whilst the team were unconscious they were taken to a facility and underwent gene editing to become subjects in the experiment. This also explains why each member of the team seem to suffer from mixing of different DNA throughout the movie. It would be just a bit too coincidental if random mixing of DNA resulted in the very specific effects shown. So yeah, not to sound like crazy conspiracy theorists but in this case we think it was all the governments doing! Previous Bloodborne – Blood Magic or Advanced Science Gone a Little Wrong?